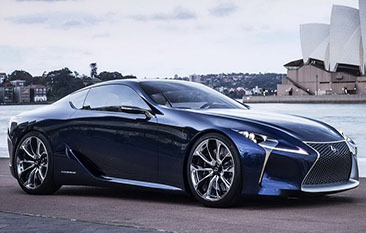 The RC luxury sport coupe was introduced to Lexus’ stable for the 2016 model year and it returns with new engine variants. The new RC 200t and RC 300 AWD join the RC 350 for a more extensive luxury coupe line-up that offers drivers more horsepower options to fit their needs. In addition, the Lexus RC features several other changes. The RC 200t F SPORT and 350 RWD F SPORT now offer optional orange brake callipers and Limited Slip differential. Performance dampers are standard for RC 200t and available for RC 350 RWD F SPORT. Eminent White Pearl exterior paint replaces Starfire Pearl.